For the second consecutive year, two NBA teams reached the 50-game mark in an NBA season with 40 or more wins. 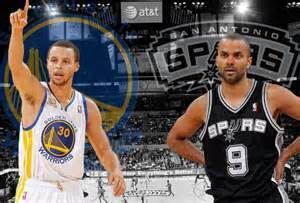 This year the Golden State Warriors (46 wins) and the San Antonio Spurs (42) reached that mark. Last year it was the Warriors (41) and the Atlanta Hawks (41). Two teams reaching 40 victories in their first 50 games in the same season has happened four other times in NBA history: 2006, 2005, 1985 and 1981. The Spurs and Warriors this year became the 28th and 29th teams in NBA history to reach 40 wins in their first 50 games. Of the previous 27 teams, 14 won the NBA title that year. The Warriors, with their 46 wins in 50 games this season, tied the NBA mark of the 1966-67 Philadelphia 76ers who also won 46 of their first 50 games. Here’s a breakdown of the 27 teams prior to this season that had 40 victories in their first 50 games. (The year listed is the year the playoffs started that season). 41 wins: 1971 Milwaukee (won title); 1973 Boston (los in Eastern Conf. finals); 1981 Boston (won title); 1981 Philadelphia (lost in Eastern Conf. finals); 1985 Boston (lost in NBA Finals); 1986 Boston (won title); 1988 L.A. Lakers (won title); 1991 Portland (lost in Western Conf. finals); 1992 Chicago (won title); 2006 Detroit (lost in Eastern Conf. finals); 2007 Dallas (lost in Western Conf. first round); 2008 Boston (won title); 2009 Boston (lost in Eastern Conf. finals); 2009 L.A. Lakers (won title); 2015 Atlanta (lost in Eastern Conf. finals); 2015 Golden State (won title). 40 wins: 1985 Philadelphia (lost in Eastern Conf. finals); 2006 San Antonio (lost in Western Conf. semis); 2012 Chicago (lost in Eastern Conf. first round). 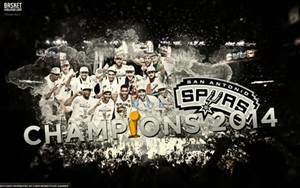 With four NBA titles since 1999-2000, the San Antonio Spurs are one of three franchises that have won three or more NBA titles since the turn of the century (the Los Angeles Lakers won five and the Miami Heat three since 2000). But if you add up all the wins and losses of the 30 NBA teams since the 1999-2000 regular season through last year’s regular season, its the Spurs, not the Lakers, who have the most regular season wins. In fact if the last 16 seasons were one season, the Spurs would have a 76-game lead over the team with the second-best win-loss record (the Dallas Mavericks) since 1999-2000. That means the Spurs could g0 7-75 this year and the Mavs go 82-0 and the Spurs would still have the best record of all NBA teams since 1999-2000. Before I list the records of each NBA franchise over the last 16 seasons this century, here’s a quick quiz. 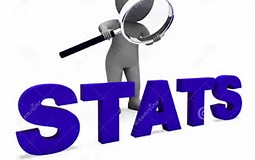 Don’t read any further until you have tried to answer this question: There are 13 teams that have a winning record (over .500 winning percentage) in the NBA regular season since 1999-2000. The Spurs are 912-384 (a .704 winning percentage) to top the list. Can you name the other 12 NBA teams that are over .500? Did you figure out the other 12 teams? Well, here’s a look at the winning percentage of each NBA franchise since 1999-2000. The 2014-15 season is not even a month old, but we are starting to see glimpses of what this campaign has to offer… and for Los Angeles Lakers fans, it’s not pretty. 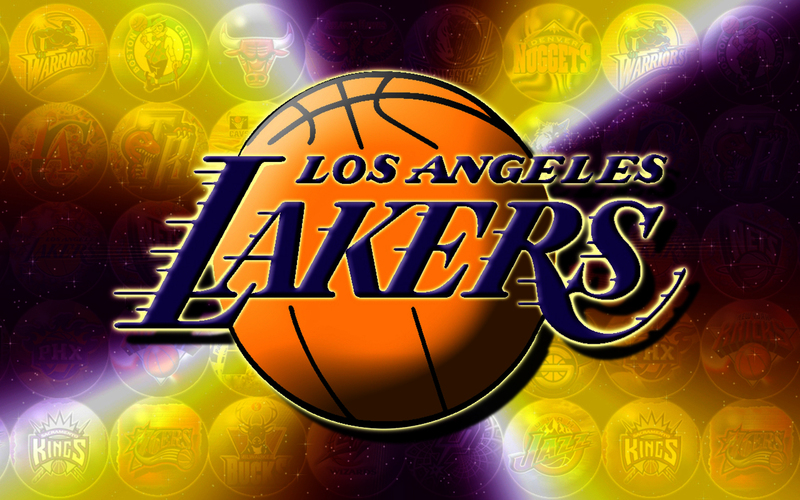 With a 3-10 record (as of November 21) and the 14th seed (out of 15) in the Western Conference, the Lakers, unless they can find a way to climb over some very good teams ahead of them, will be at home when the playoffs begin in late April, 2015. Missing a second consecutive playoffs would be a first for the Lakers since 1975-76 when they missed the post-season in two consecutive years. Only the San Antonio Spurs have the longest stretch in which they did not make the playoffs in two straight years, and that has never happened to the San Antonio franchise. Here’s a look at the last time each NBA franchise missed the playoffs in two consecutive seasons. What may be even more historic for the Lakers, however, is having a season-ending winning percentage under .400, which is where they were last year when they finished 27-55 (a .329 winning percentage). The Lakers franchise has never had back-to-back seasons where their winning percentage was under .400. They are the only current NBA franchise that can make that claim. To avoid this historic feat, the Lakers will need to win 33 games this year; 33-49 would give them a winning percentage of .402. With a 3-10 record to this point, the Lakers will need to figure out a way to go 30-39 the remainder of the season. Here’s a snapshot look at the last time each franchise finished with a winning percentage under .400 in back-to-back seasons. Last season eight teams finished the season under .400: Boston, Detroit, L.A. Lakers, Milwaukee, Orlando, Philadelphia, Sacramento and Utah. Only two of those eight are currently over .500 for this season… Milwaukee and Sacramento.